The Wish model of advocacy is pro-active and is process driven rather than outcome driven. Women tell Wish that having an advocate who spends time getting to know them, actively listening, being transparent, who is non-judgemental, empathetic and able to maintain boundaries helps them to feel cared for and safe. A number of women say that they recognise that they continually test boundaries and inform Wish that it helps them feel safe knowing that the Wish advocates will maintain boundaries. Women also inform Wish that they appreciate the fact that the advocates ‘go the extra mile’; this helps them feel cared for. The emphasis is always about empowering women and responding to their individual needs. Frequently what women raise is not the crux of the problem, therefore spending time exploring what is raised is imperative. Many of the women are impulsive therefore it is important that they have time to talk through issues and look at what are the possible actions and the probable outcomes prior to taking an issue forward. The women report that confidentiality is important to them, but also that regular clear communication regarding the limitations of confidentiality both verbally and in writing is vital. A number of women have told us that their previous experience has been that they have been informed of the limitations of confidentiality when they first meet with an advocate, however this is not revisited. Understandably, women have ended up feeling let down in the past if the communication was not clear or they were unable to recall the information and later believe that the advocate had not maintained confidentiality. Being mindful of ward dynamics is also important to maintain relationships with the women, therefore the Wish advocacy service ensure equity of service. Wish has worked successfully with a number of women from BME [Black and Minority Ethnic] groups. A woman from Bengal was struggling to communicate therefore Wish arranged an interpreter and developed a system of communication with thumbs up, thumbs down with pictures to ascertain which things were an issue. The pictorial format was helpful, and the woman and Wish advocate were able to identify a number of issues. The woman wanted paan as it was part of her traditions and culture to chew on the betel leaves. The Responsible Clinician initially said this could potentially interfere with her medication but later agreed that the woman could have a small amount following meals. The women Wish work with are unique; all women have common experiences of inequality but women are not a homogeneous group. 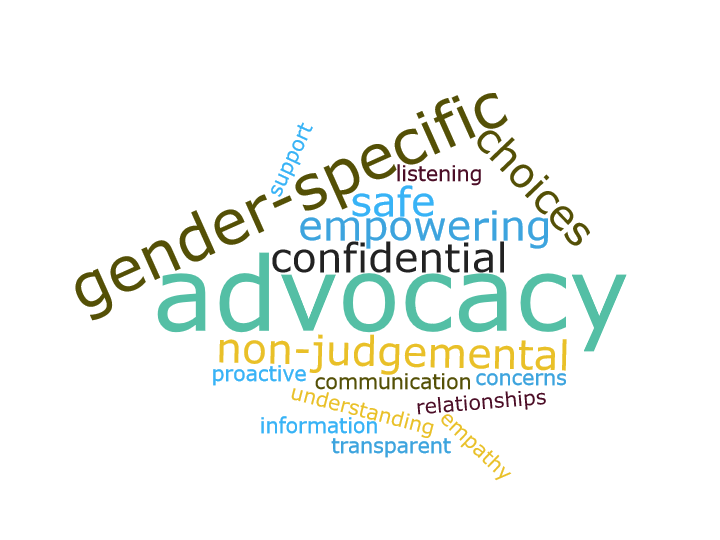 The feedback we receive from women suggests that the gender specific advocacy service is making a difference. Lastly I would like to say that it is a privilege working with women. Someone who is new to the whole MH system and advocacy – be interesting to hear more about what u see as the main difference between gender specific and generitic advocacy services and how they differ. I see one big difference is the focus on process and outcome.